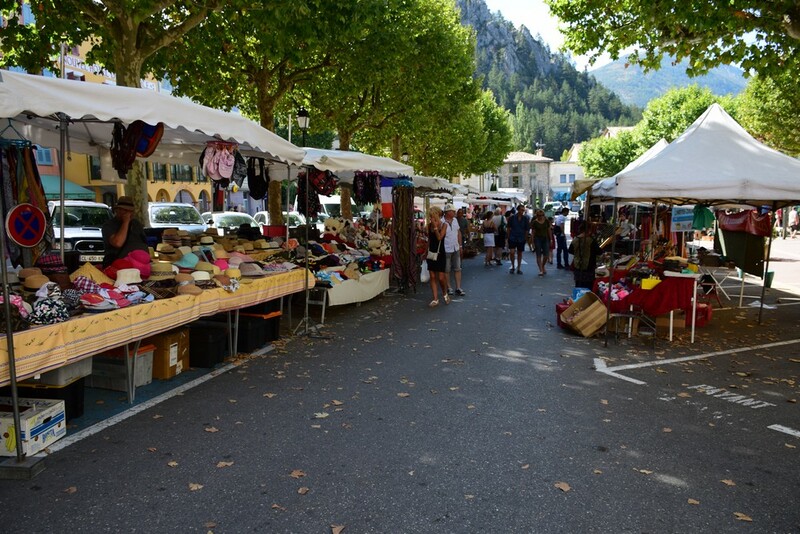 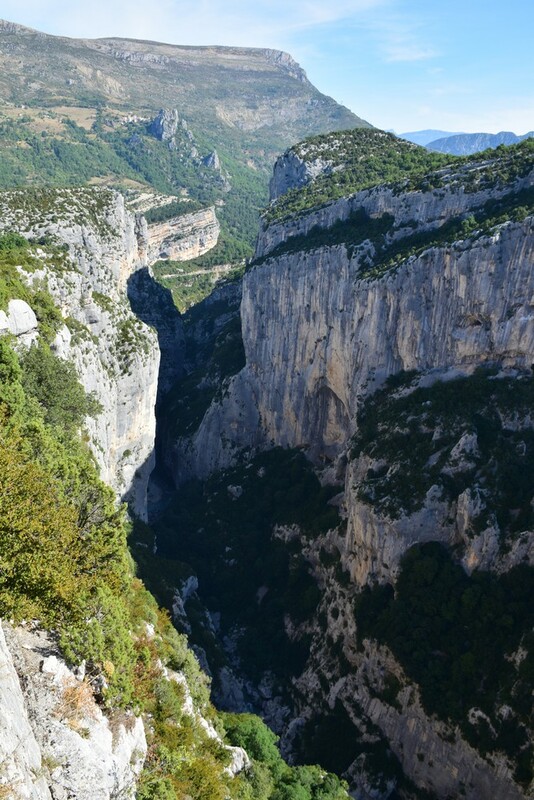 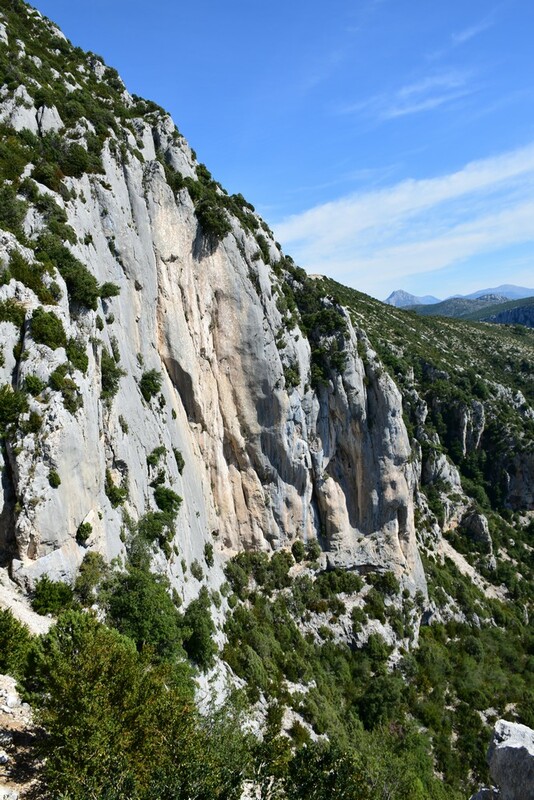 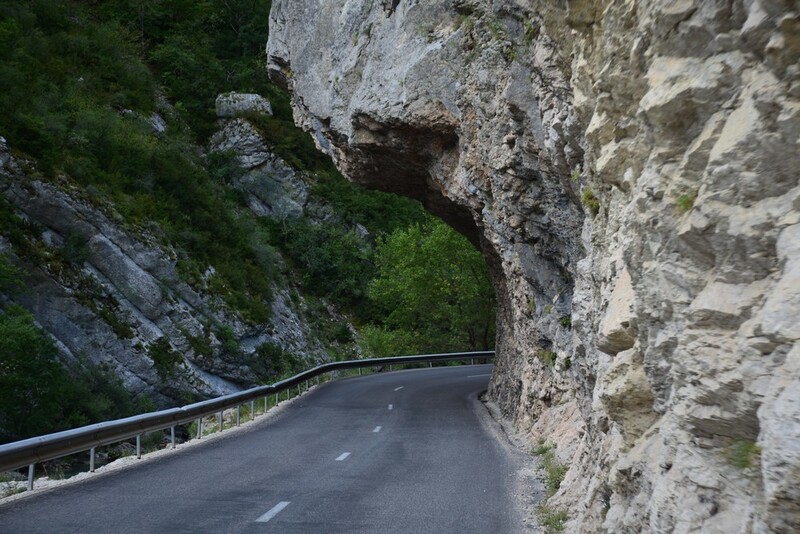 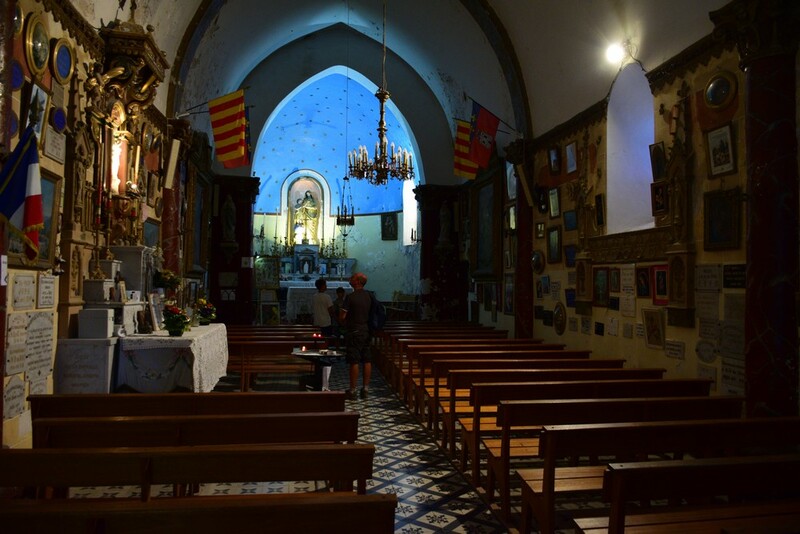 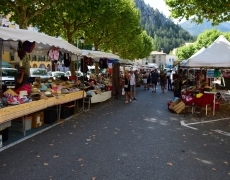 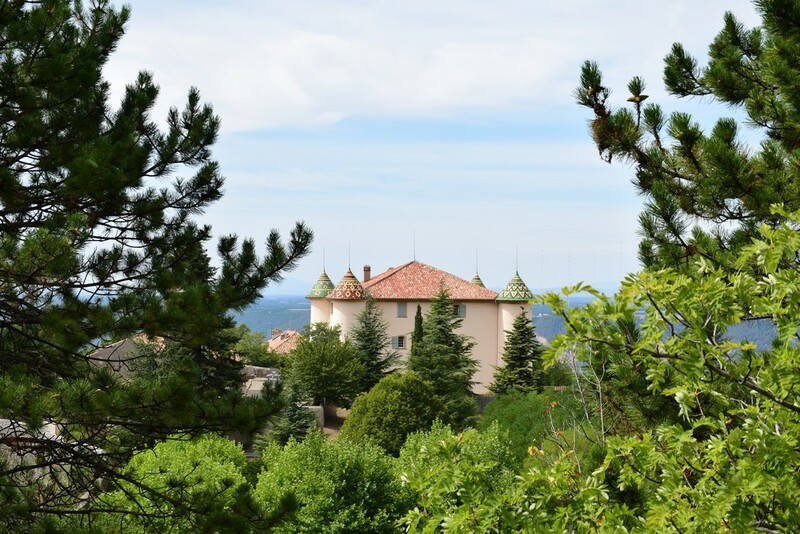 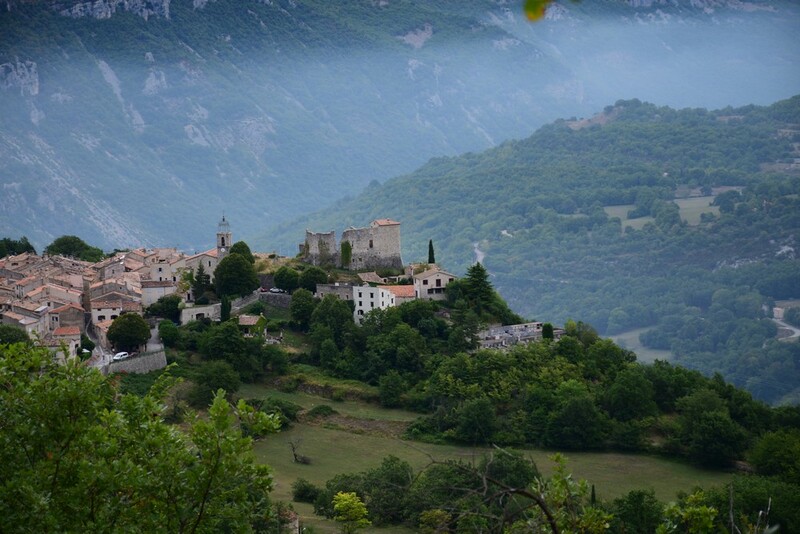 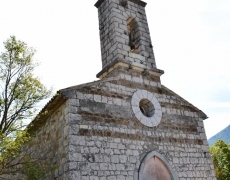 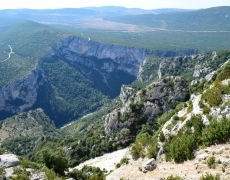 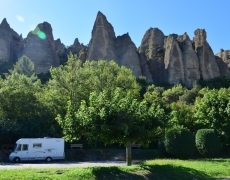 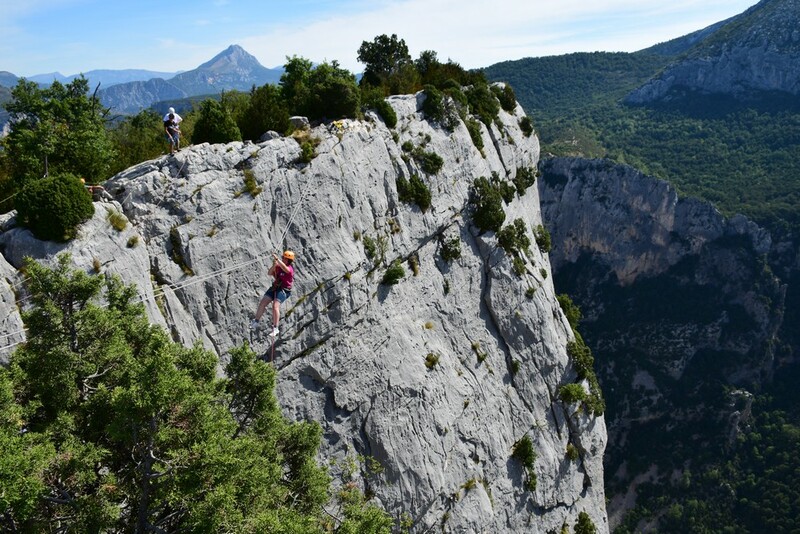 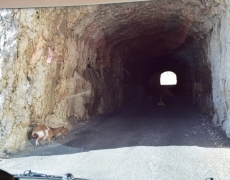 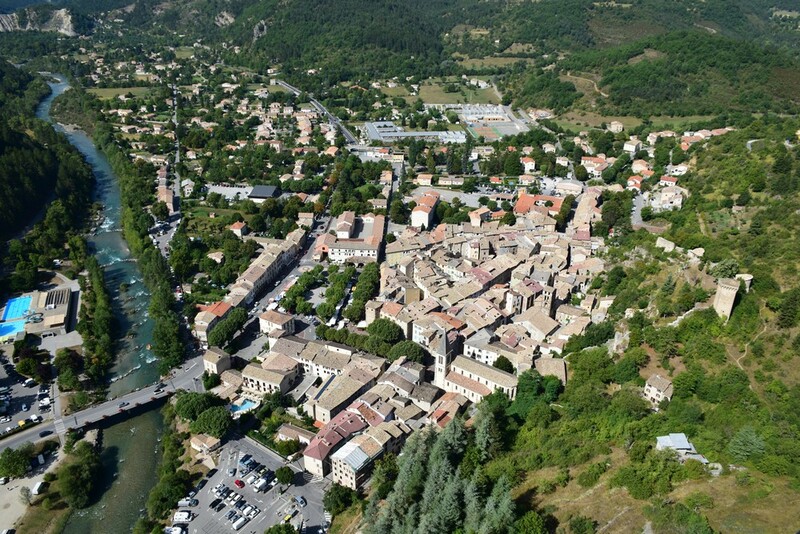 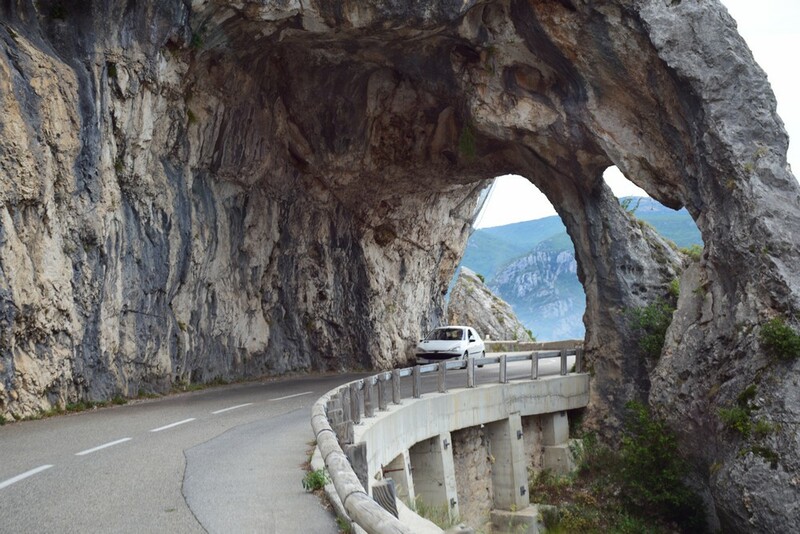 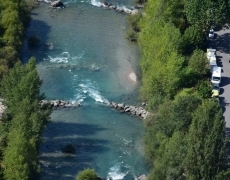 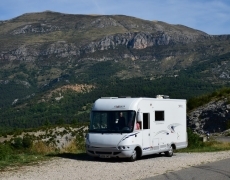 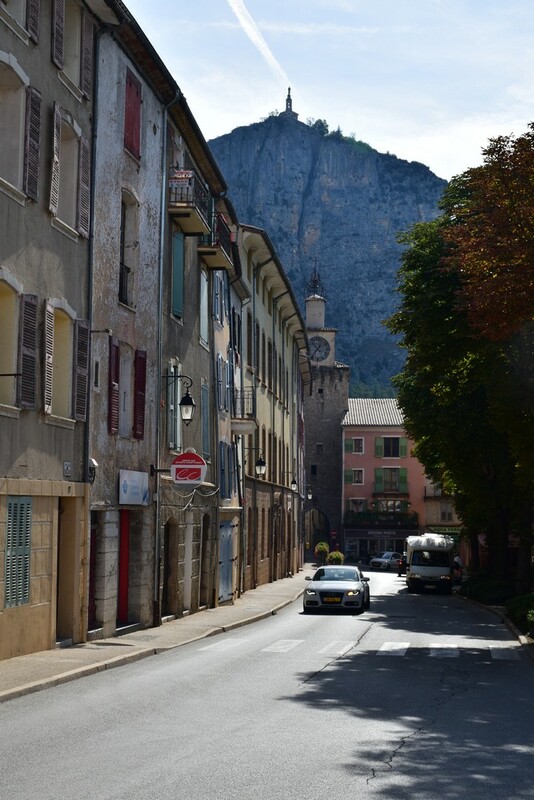 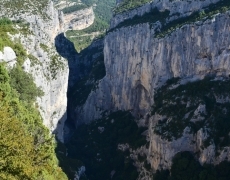 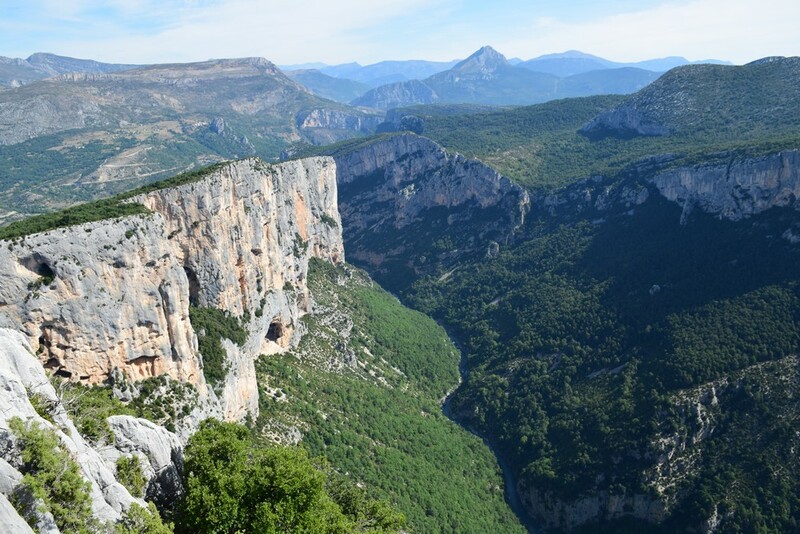 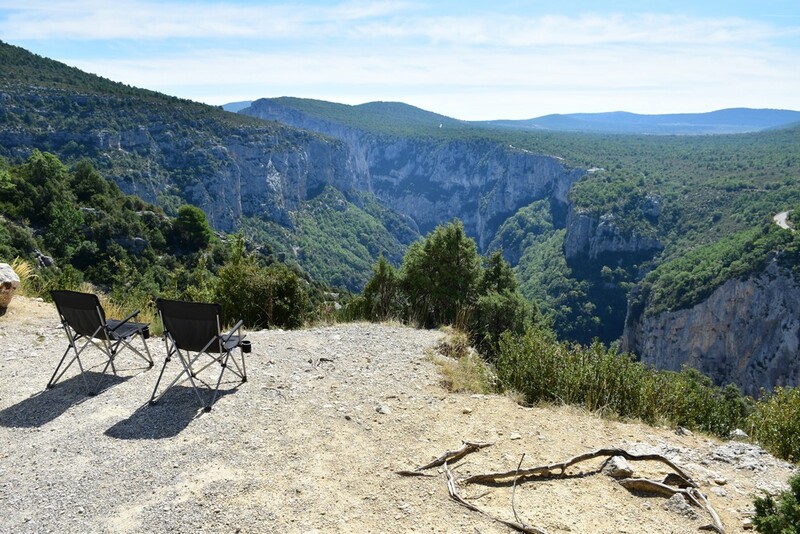 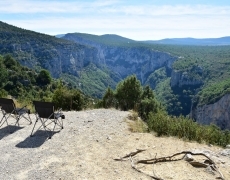 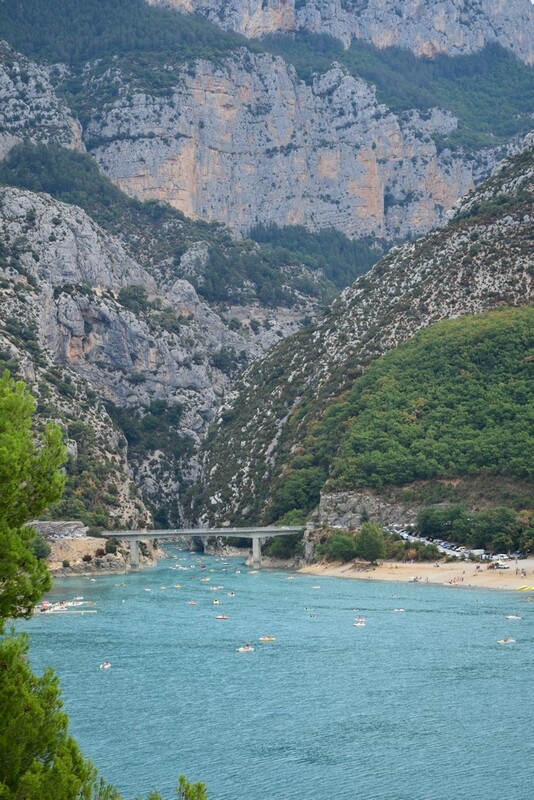 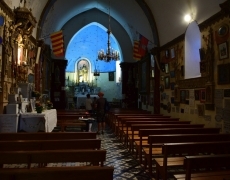 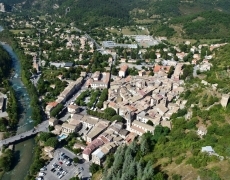 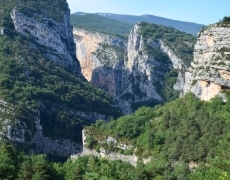 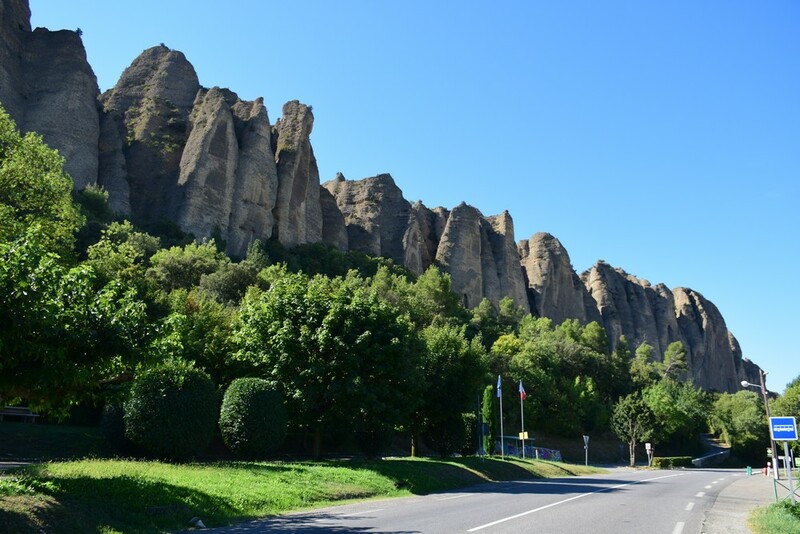 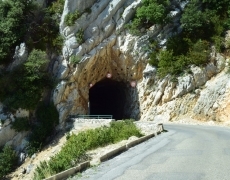 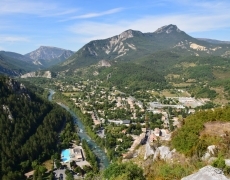 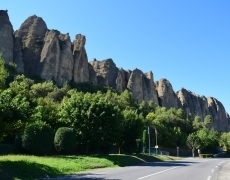 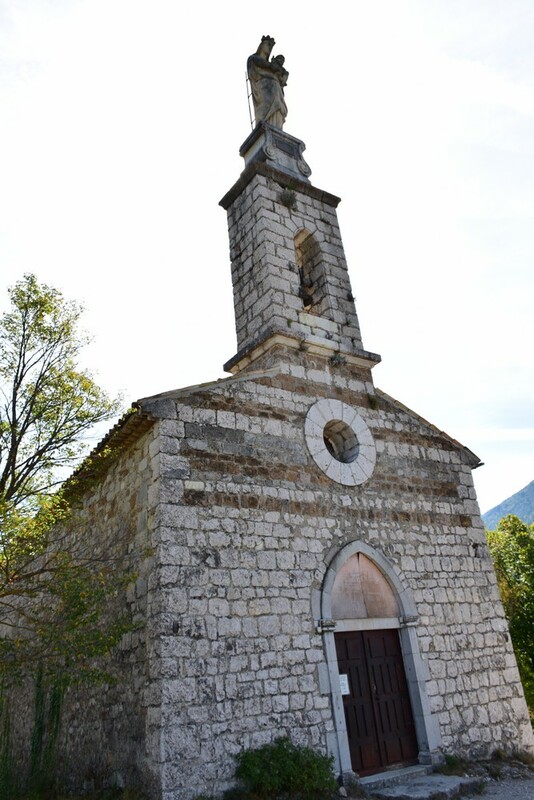 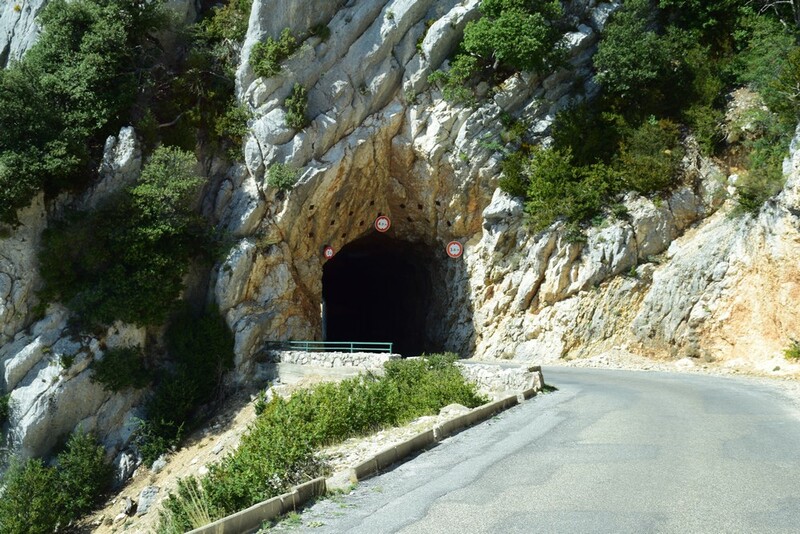 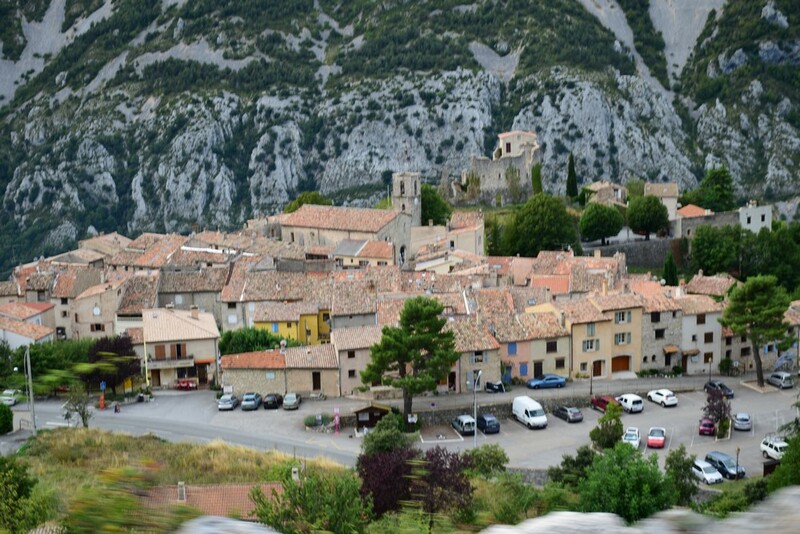 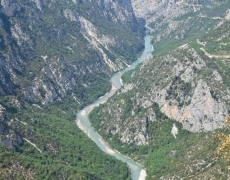 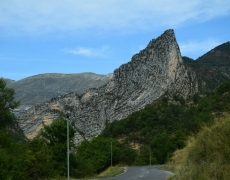 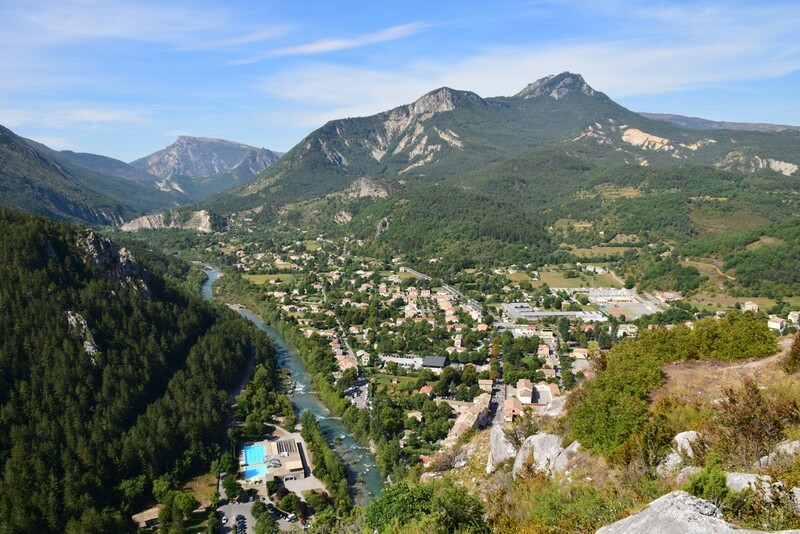 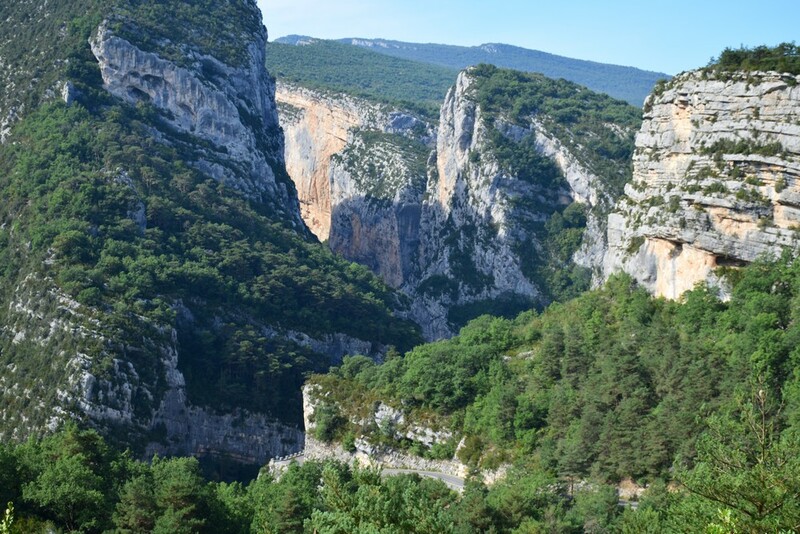 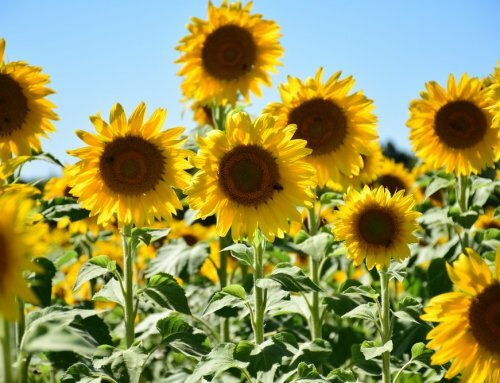 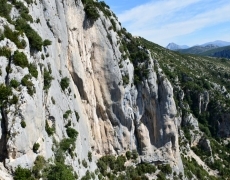 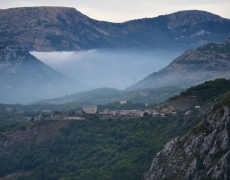 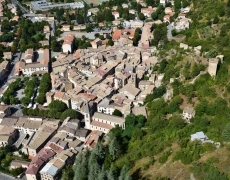 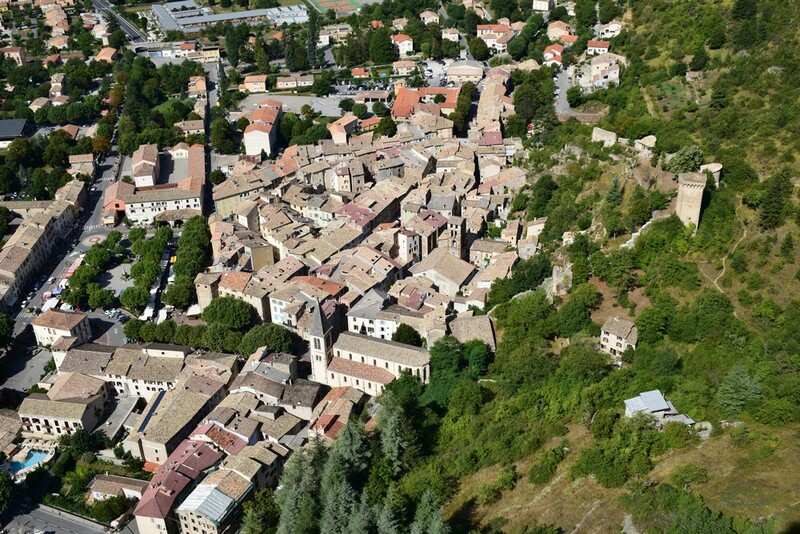 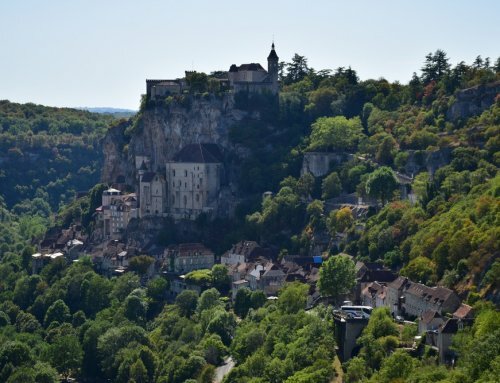 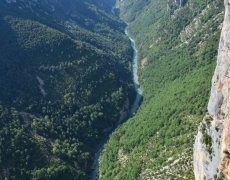 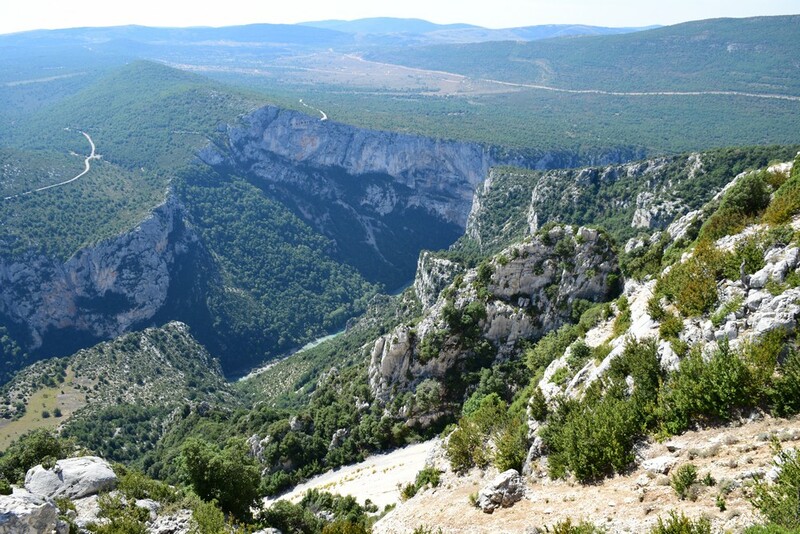 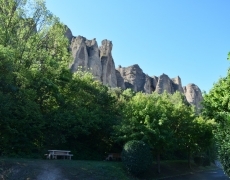 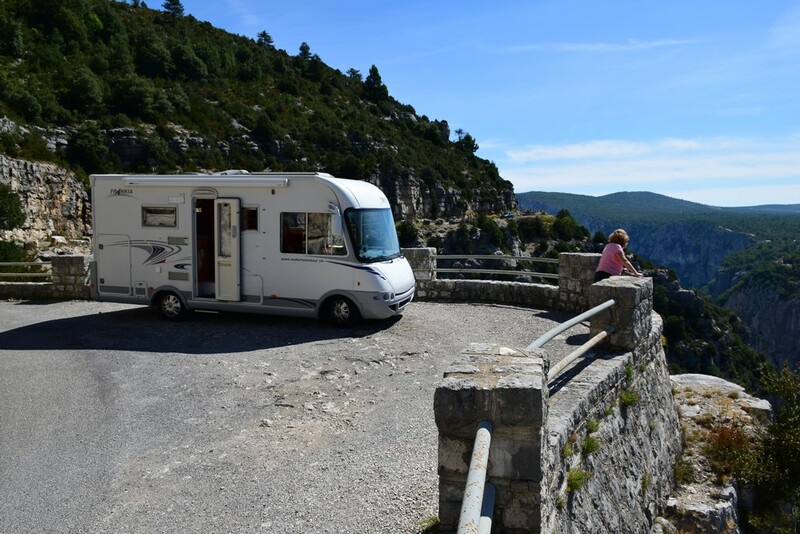 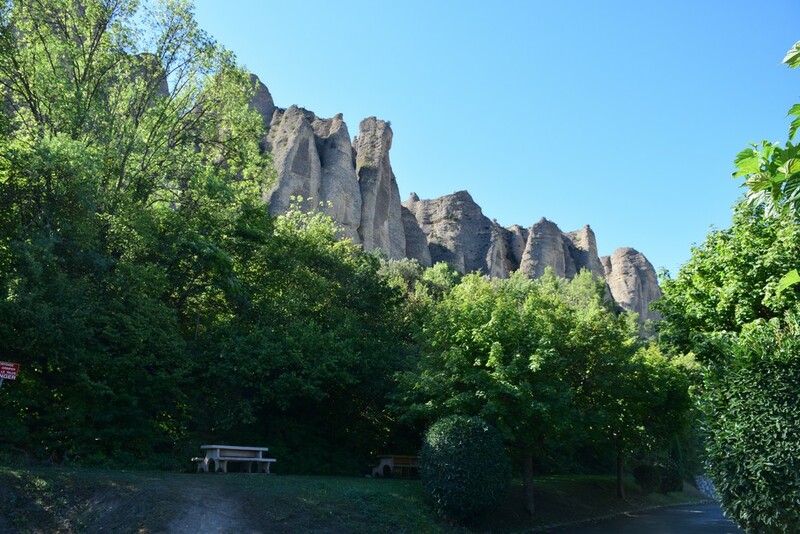 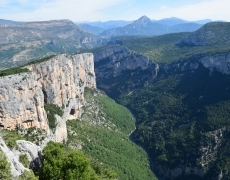 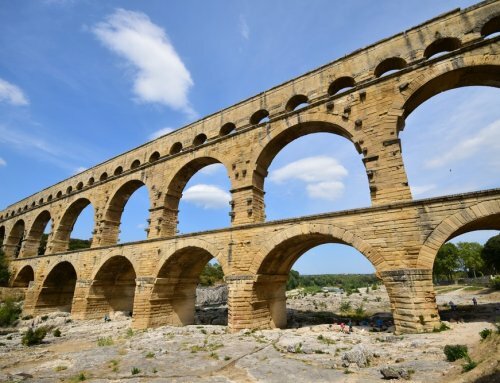 From Reillanne we continued towards Digne Le Bains via Les Mees which has a very unusual rock formation and then on to Castellanne which is in the Verdon region and where we had heard there is a very good valley of gorges. 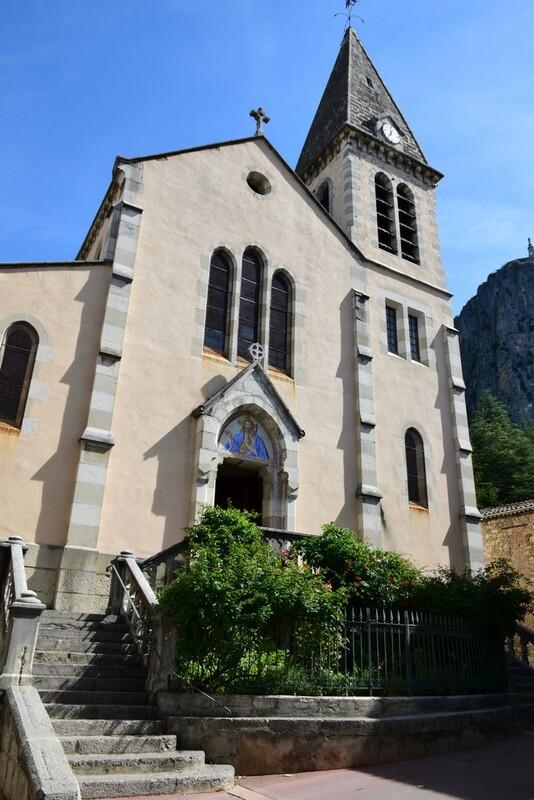 As we’d approached Castellanne we’d spotted a church on a high rock and having woken up with some determination I decided I was going to walk up. 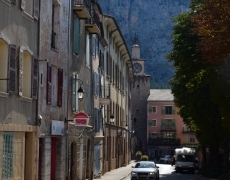 Steven had some work to do but after the suggestion of a morning walk, followed by lunch in the village and then an afternoon of work he acquiesced and came with me. 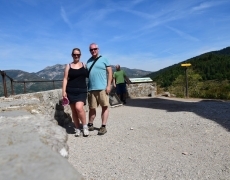 It took about one hour get to the top with the path well walked. 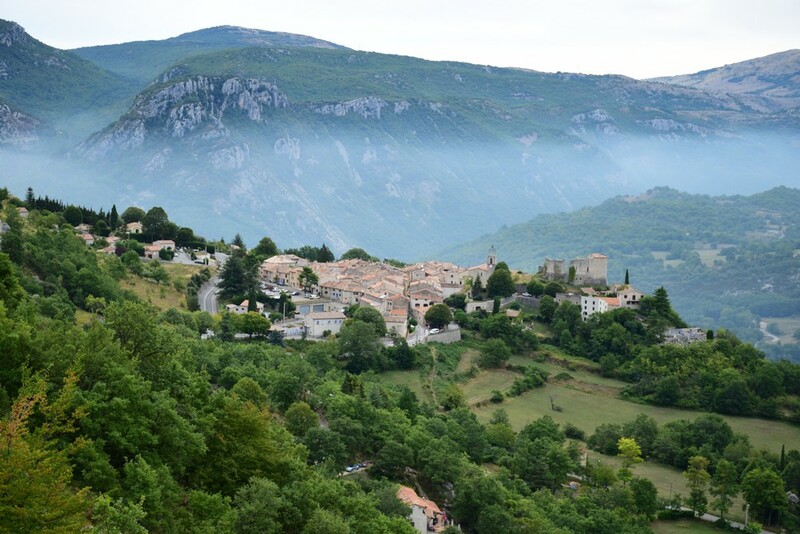 It was about 3 km to the top and it was well worth the effort with stunning views across the village and valley. 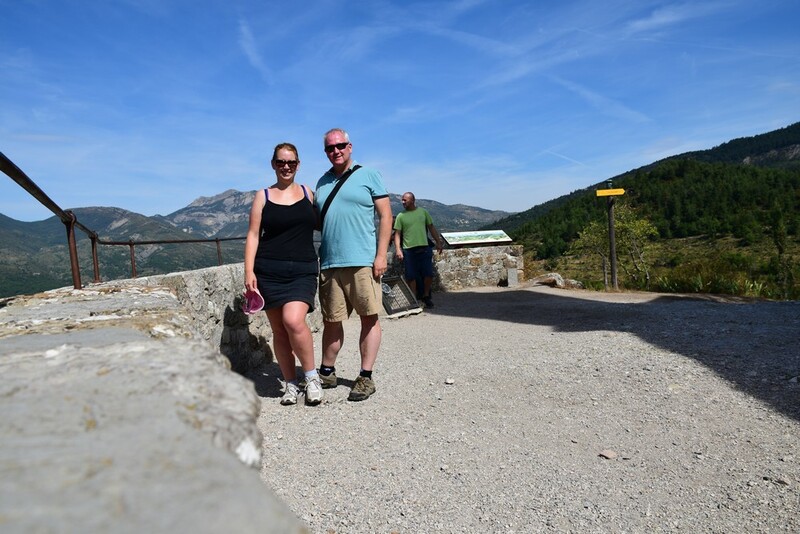 After that we headed back down and wandered around the Saturday market and then had lunch at one of the many busy cafes / restaurants. 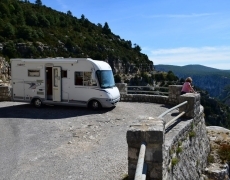 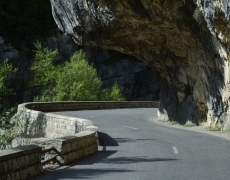 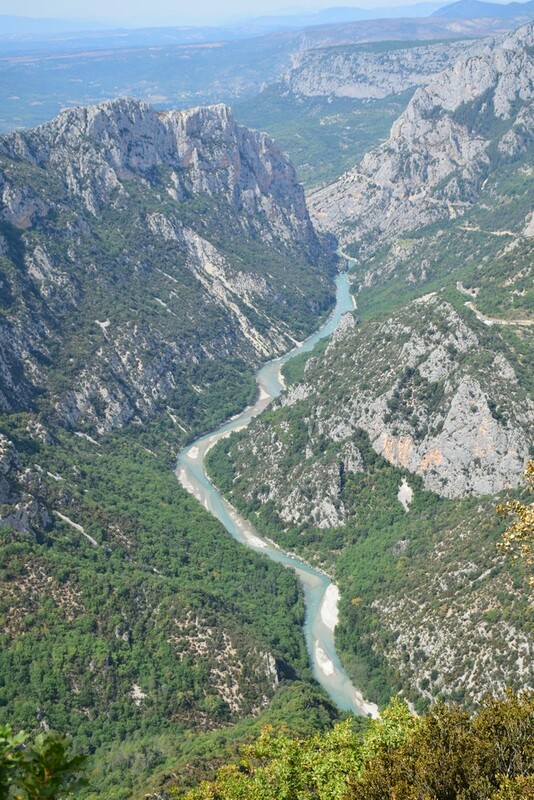 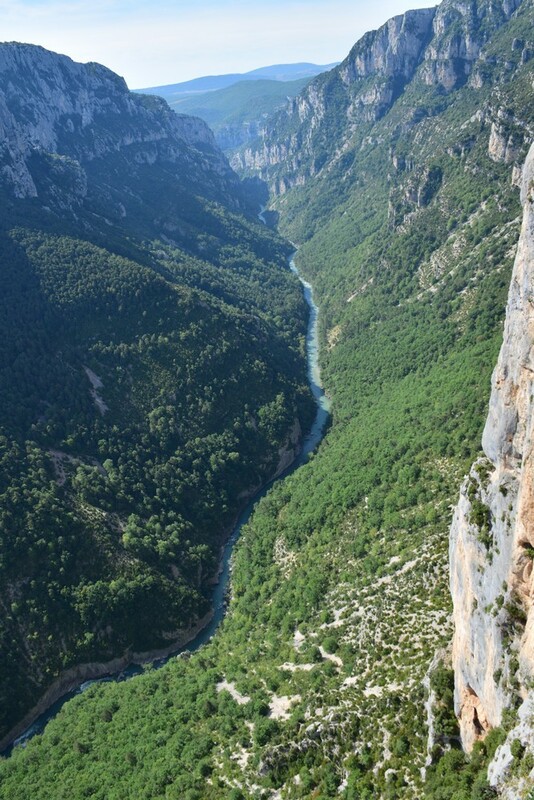 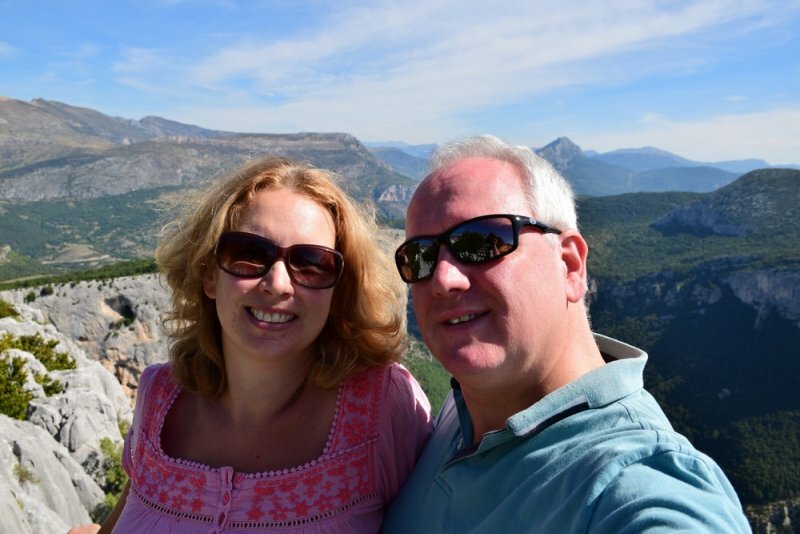 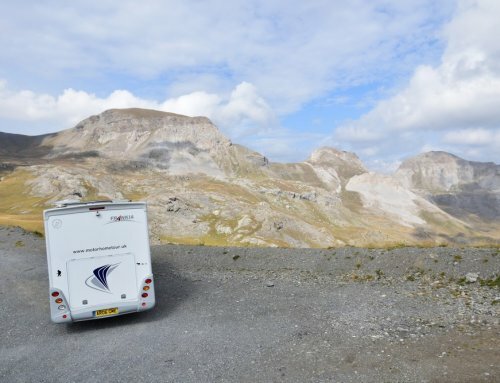 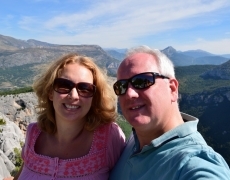 We’d been recommended to drive the Routes Des Cretes which is a loop off the D952 to Gorges Du Verdon. 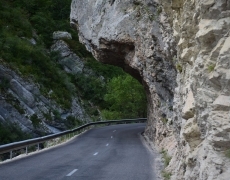 Part of the Routes Des Cretes is one way such is the narrow roads and overhangs. 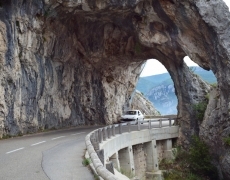 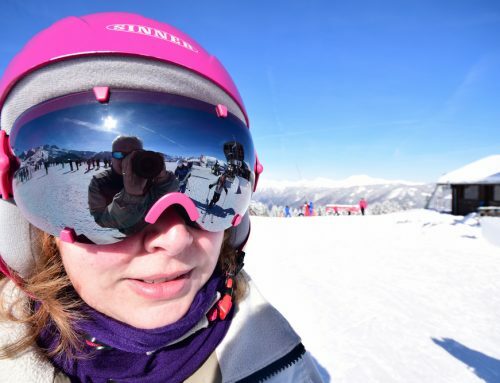 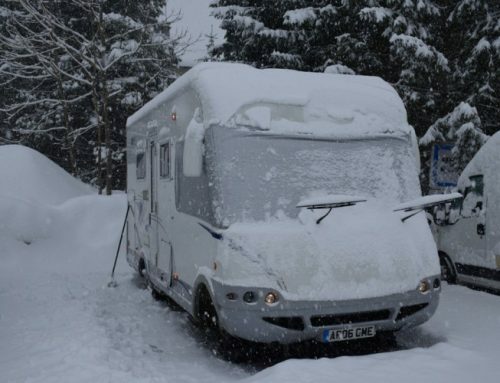 To be honest I didn’t know that scenery like that existed in mainland Europe and it was spectacular and breath taking. 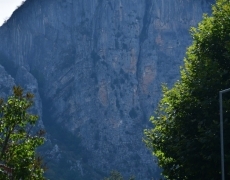 We even saw Griffin Vultures soaring beneath us – yes beneath as we were that high! 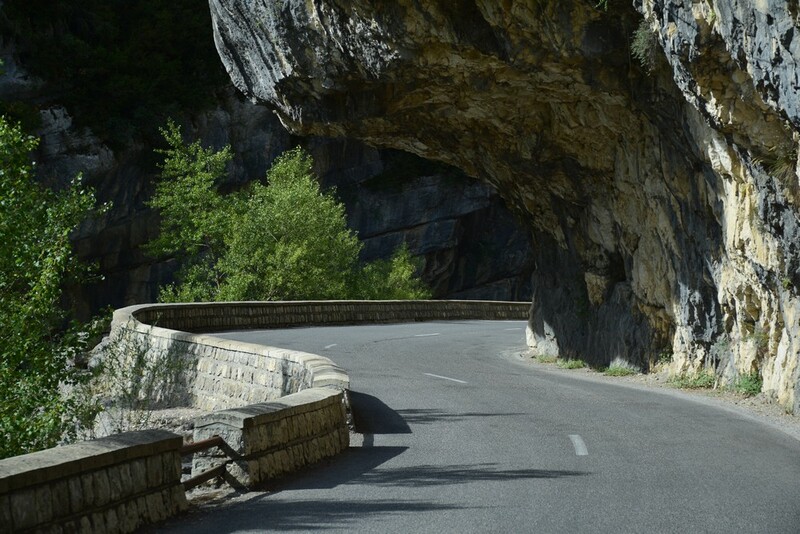 We ended up looping around and then driving the north road and then looping back around to drive the south road. 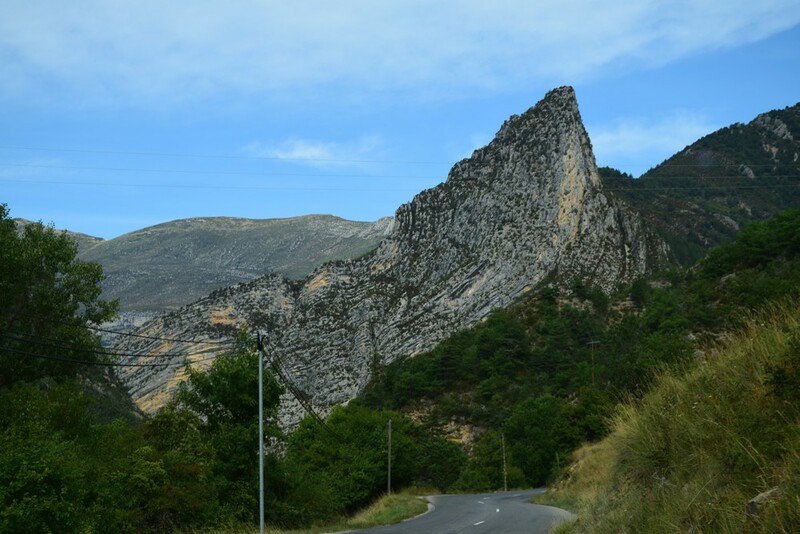 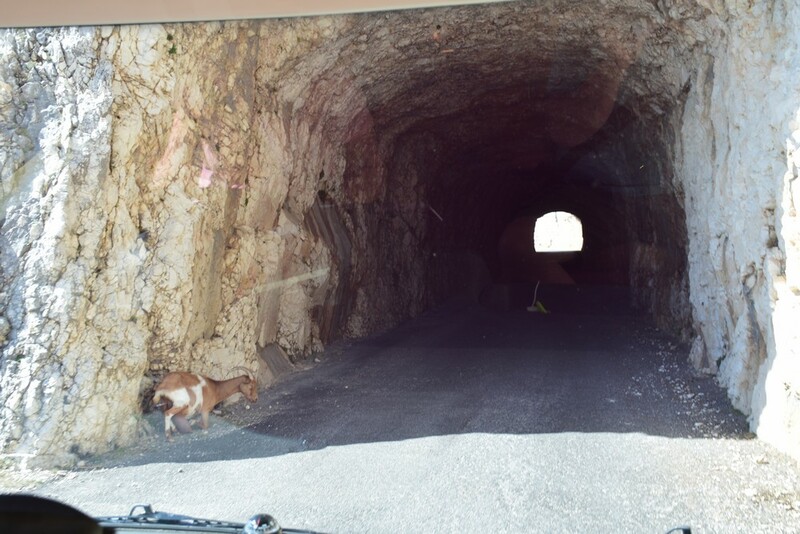 For the second time this trip we picked up some hitchhikers as we were driving the road south of the gorges – they had left their car a few km down the road and walked down into the gorges and back up again – even steeper than the climb we had done in Castellanne! 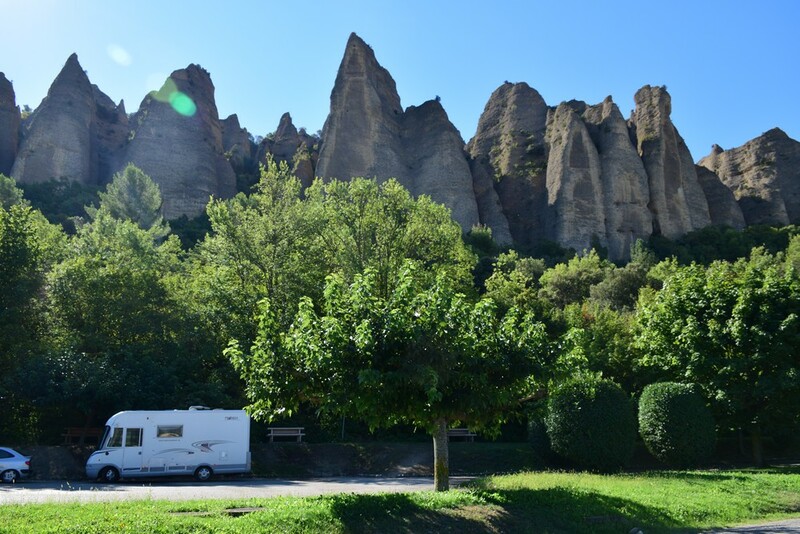 They turned out to be very multicultural and one was a Scot, one an Italian and the last was an Englishman (I’m sure there’s a joke there somewhere…). 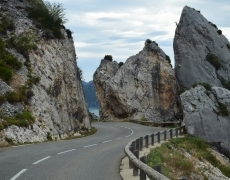 Even better was that they gave us a recommended route to head down to the coast the next day. 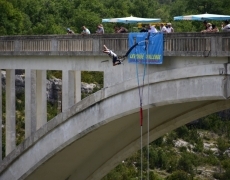 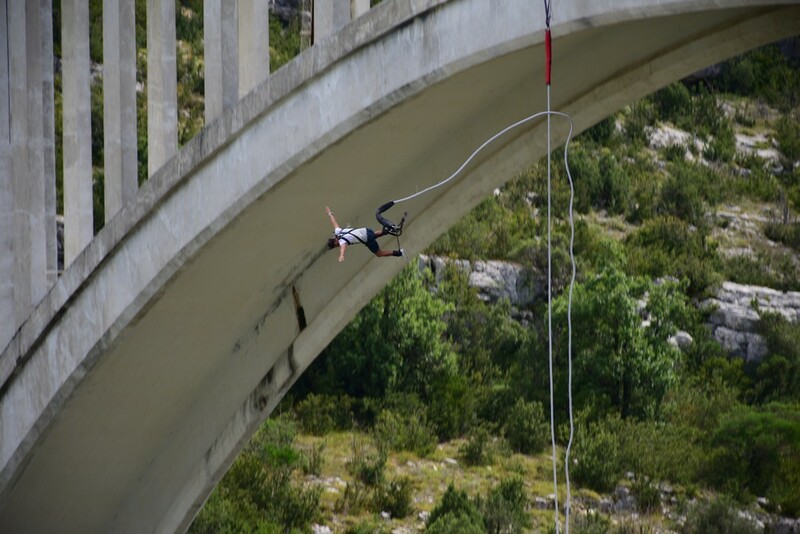 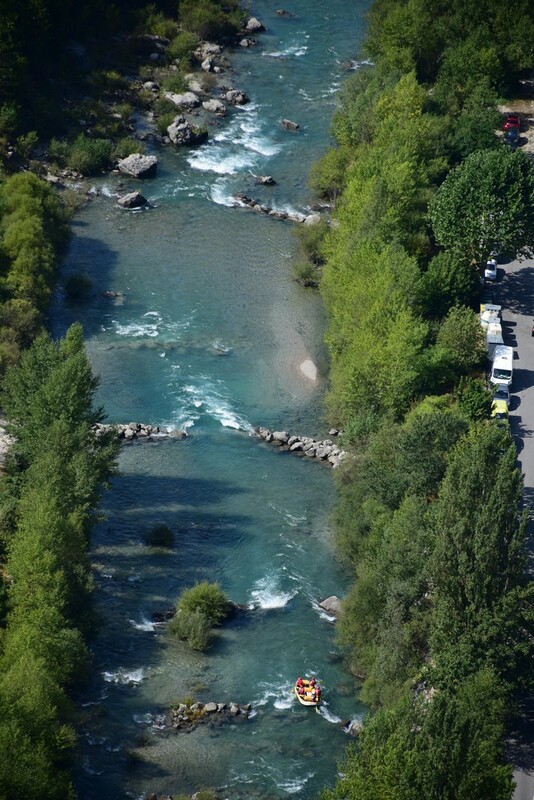 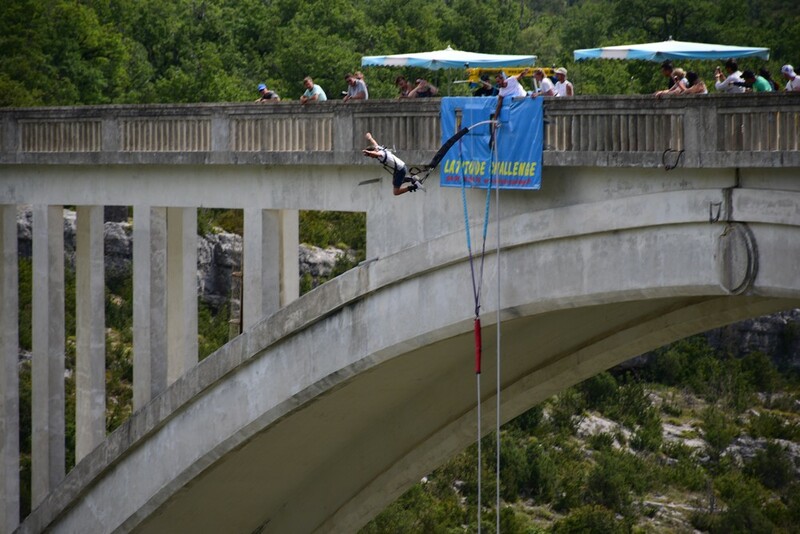 After we dropped them off we headed out of the Gorges, first stopping at Aiguines to watch some very crazy people bungee jumping (not something I would EVER do!) 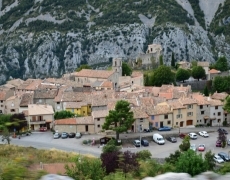 and on to Comps-sur-Artuby for a free overnight stop at the aire there and by the looks of it we’d just missed a medieval re-enactment of some kind. 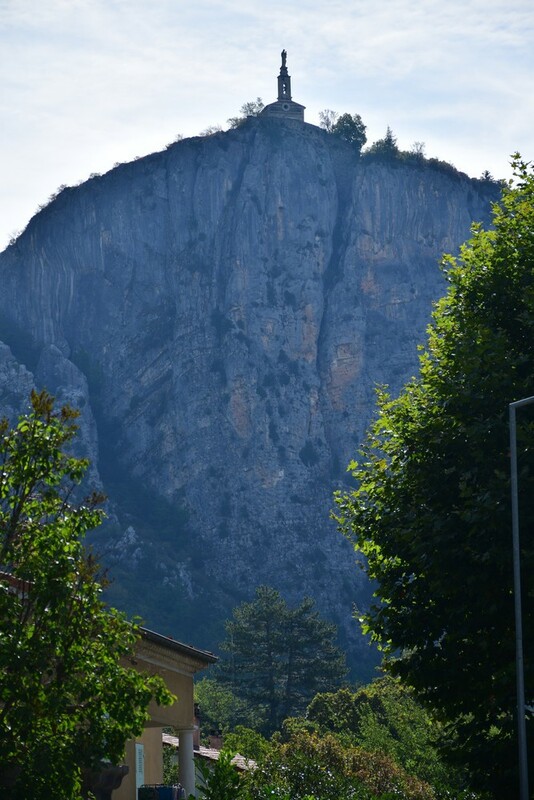 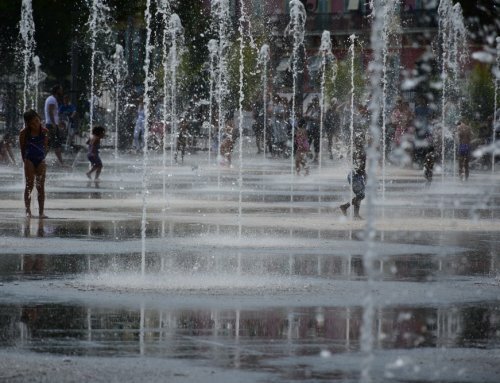 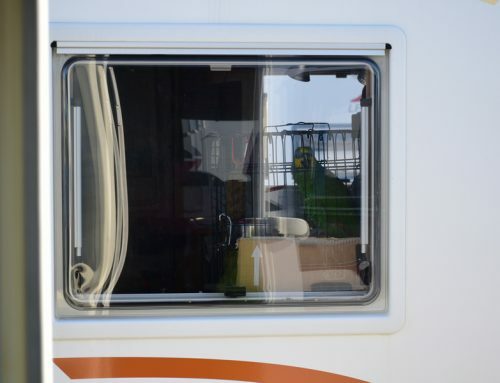 Monday 5th September – pretending to be 007? 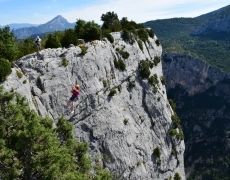 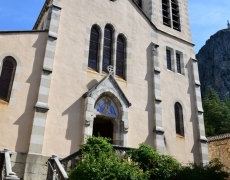 So the route recommended from Comps-sur-Artuby was to Caille and Seranon, then Greolieres and finally Gourdon. 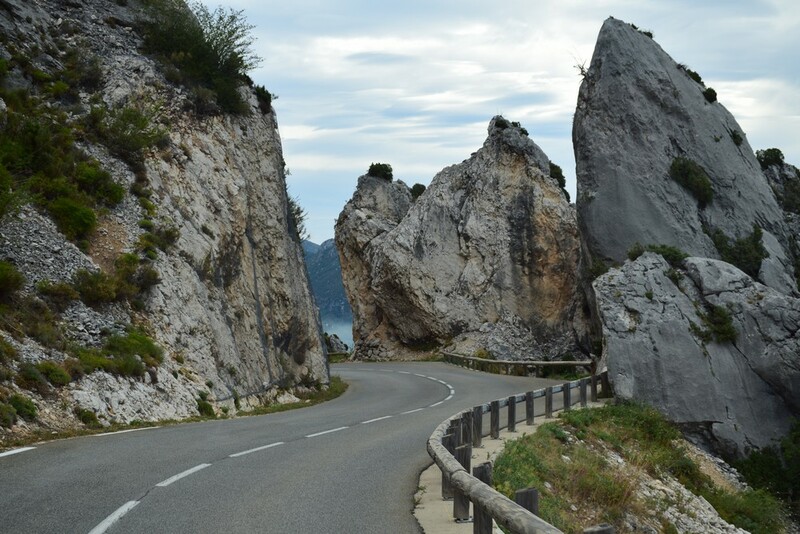 This was a very pretty road and apparently some James Bond car scenes have been filmed along it although I couldn’t tell you which ones at the moment but parts did look familiar. 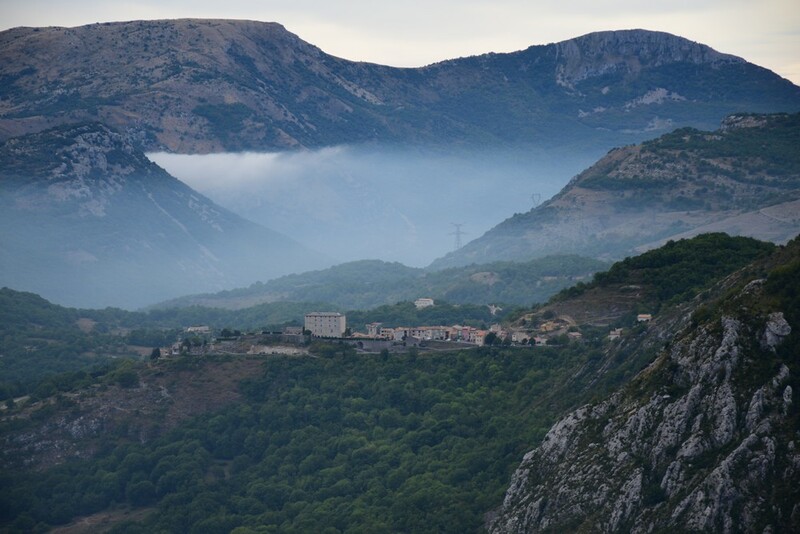 We also noticed something that looked like clouds but were actually smoke clouds that must have been caused by some forest fires somewhere although we didn’t see the source. 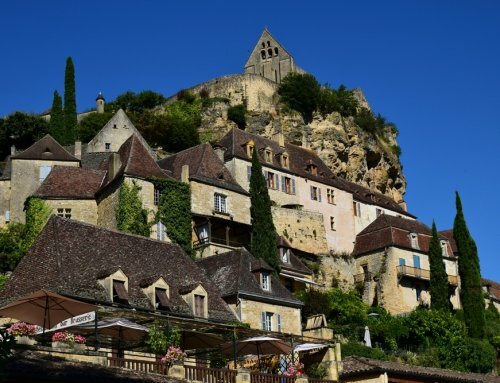 Gourdon was a very pretty town and is another ‘Les Plus beaux villages de France’ (beautiful village of France) of which we’ve seen a few on this trip and they certainly do live up to their claim. 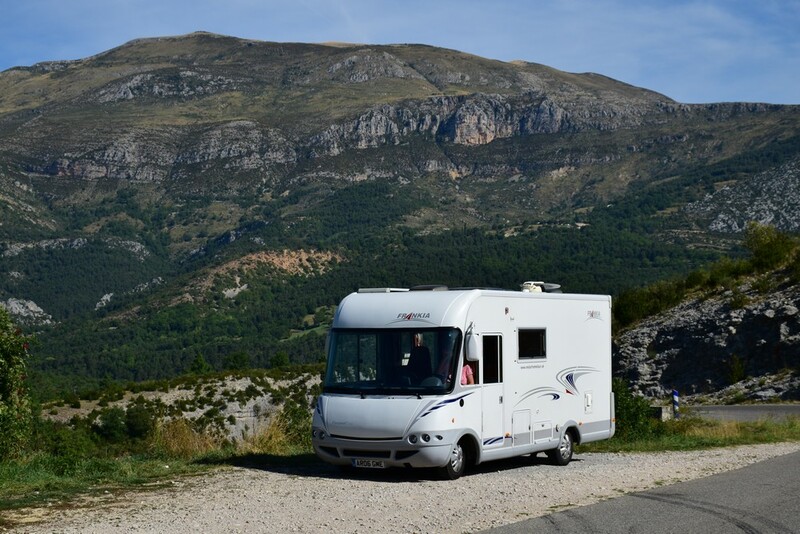 Finally we headed down to the coast and towards Antibes for a campsite recommended by several people called La Vieille Ferme which is only 100m or so from the beach near Antibes.